This boat has been designed and partly built by her owner and Equinox boats, and what a job he has done. He has definitely gone above and beyond when it comes features and maintenance. The boat was very clean and spacious, the carpets felt comfortable and looked good. The boat boasts a large array of features including an 11 gallon Calorifier, huge tanks, new PVC windows and doors (In wood finish), the fridge/ freezer inverter and catch cover are 1 year old, double oven, gas stove/ heater, removable davits/ walkway designed to hold a large motorbike, pythondrive, White oak table and a new Lee sanitation head to name a few. She also has a bow thruster tube but one is not fitted. 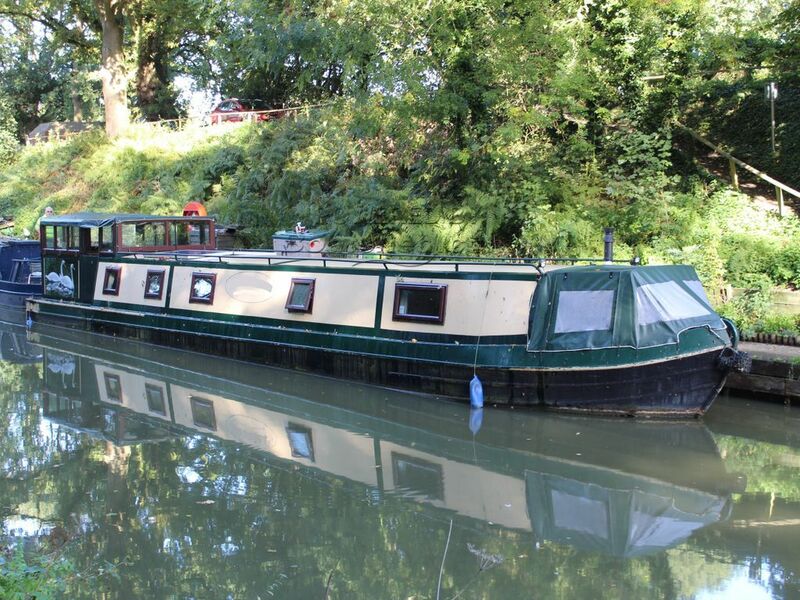 This boat is currently set out for cruising for a few weeks at a time with its tank sizes, but could also be used as a very comfortable and cosy live aboard. The inverter would mean it would be as simple as plugging in if you wanted to add a dishwasher or a washing machine. There is also a 750W immersion heater and a CCTV camera fitted on the bow to a screen at the helm, making it a lot easier to see small craft and park. The are a couple of spots that could do with repainting, but the owner tells me this has been organised to be done over the next couple of weeks. This is appears to be a great boat that has been well looked after, lovely and clean with lots of storage and feels very spacious. Well worth a look. If you have any questions or would like to arrange a viewing click or call the contact details. This Wide Beam 57 has been personally photographed and viewed by Oliver Yates of Boatshed Bristol. Click here for contact details.